This Friday, I joined Cédric, Marc and the guys from Little Workshop for a quick coding session. It all started when I noticed a very nice project: SculptGL by Stéphane Ginier. Stéphane created a great 3D scuplting tool that implements some very nice adaptive subdivision and decimation. We decided to refine the UI and to add the ability to directly upload to Sketchfab without leaving the tool. 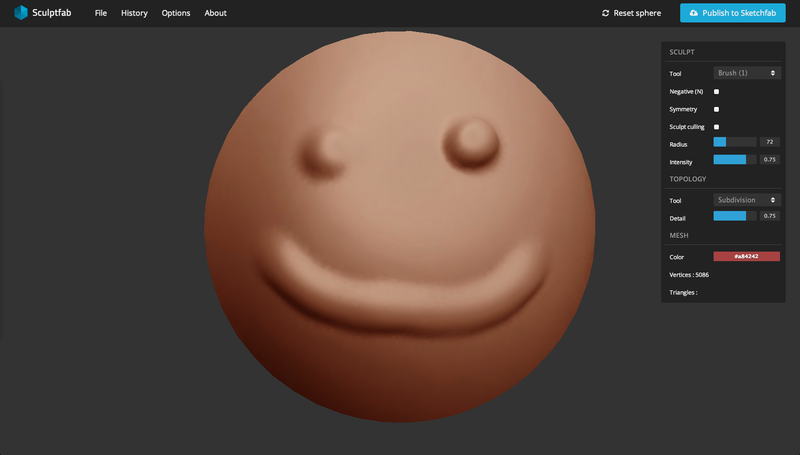 On my part, I created the foundation of a small script that, when inserted, would help an application creator to upload model data to Sketchfab. it displays a model window asking for Sketchfab API key and basic information. Then, an archive containing the model data is created on the client using JSzip after the model has been transformed to the .obj file format. Screenshot of the current canvas is taken from the client too. and both are submitted to the Sketchfab API.